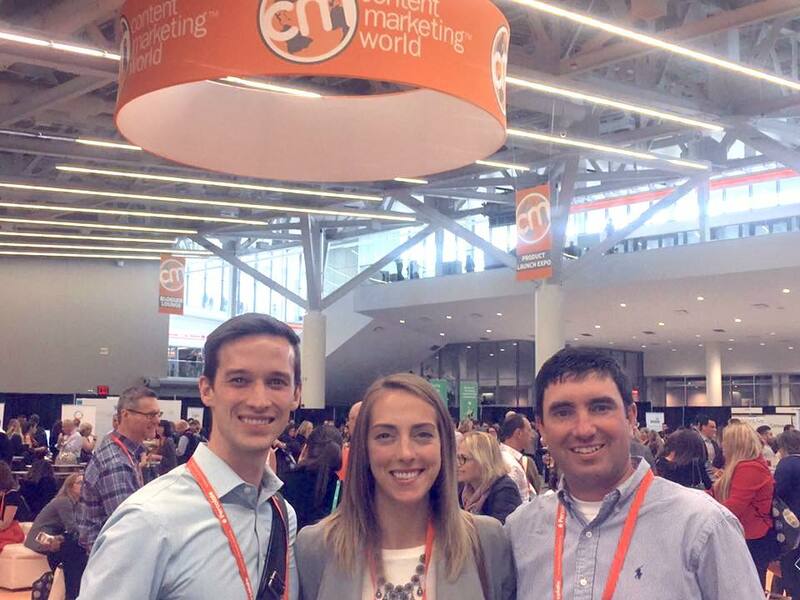 WRL’s Nathan Kappel, Olivia Tharp and Matt Nist recently ventured to Cleveland to attend our industry’s largest conference, Content Marketing World! From various positioning strategies, social and tracking tools, business tactics and so much more, we learned how truly diverse content marketing has become and how it will continue to evolve. The conference started off with keynote speaker Linda Boff giving us food for thought – Are you with an agency or are you with a company? Boff, the Chief Marketing Officer at GE, said first and foremost you have to know who you are. If you don’t know the answer to that, then how can you expect to connect to your audience? Going along with that, you should show up as a person, not as a company or brand. When you can do this, you begin reaching your audience and even unexpected audiences as well. It’s critical that you reach the right audience. You must know your audience, and in turn, what they want to hear and see in order to connect with them. When writing blogs, posting on social media or sending newsletters/info to your customers, more is not better. Sending and/or posting 100 great communications is much better than sending 1,000 that don’t resonate with your audience. Challenge your clients to think bigger. Are you just doing the same marketing/advertising/messaging over and over again? You need to see what’s coming and focus on the long-term objectives because when doing this, 60 percent of the time you will outperform everyone else. That’s not to say that short-term objectives should be forgotten, it needs to be a mix, but you need to think differently. Don’t do it “just to do it” by pushing out content randomly. Instead, share your content in a thoughtful, proactive way. And a fourth, my favorite… “Remove the bullsh*t,” per keynote speaker, Casey Neistat speaking about relating to your audience by remaining authentic. “Put your company’s culture at the core of all your content marketing practices,” said Frank Thomas, Director Corporate Communications at adidas. “Connect to your target audience through your employee’s authenticity and engagement.” They must believe in your product or service to share content naturally. Jay Acunzo, founder of the Unthinkable podcast and CMW keynote, opened the conference with some profound advice, “Don’t aspire to be average, follow your intuition, ask yourself the right questions and realize your exceptional potential.” He emphasized that learning through intuition – the ability to succeed at a higher speed – instead of learning through data makes the process the point, not the result. You will be able to better inspire action from your audience through emotion and insight. 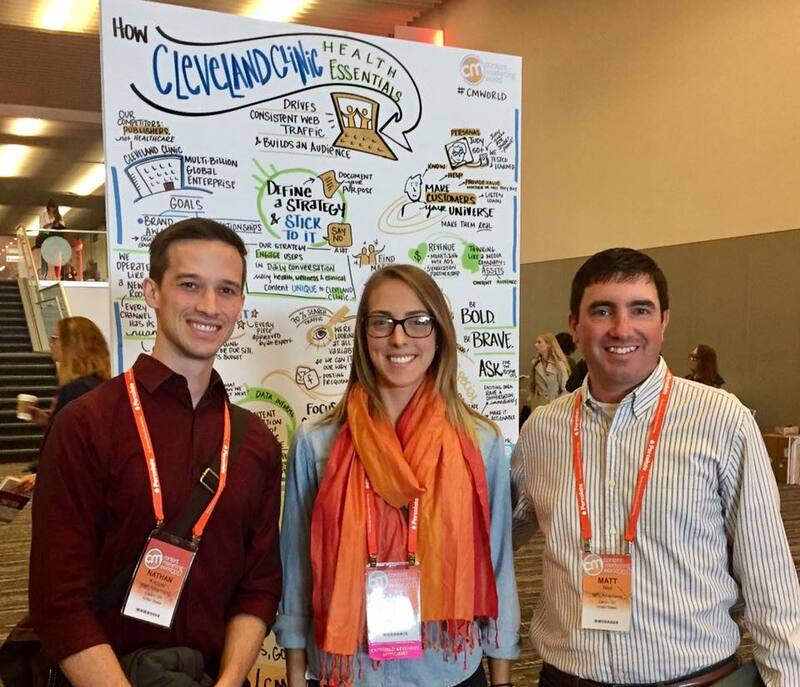 When Amanda Todorovich, Content Marketing Director at the Cleveland Clinic, spoke about how she drives web traffic and grows the Clinic’s Blog audience, she told us to keep a few key things in mind: 1) You can’t be all things to all people, 2) Define a strategy and stick to it, 3) Learn to say NO, and most importantly, 4) Look at your content and your audience as your assets. Ask the question: “What’s in it for the customer?” This seminar focused on the structure of a business, the importance of content and conveying a customer-first brand. By asking the question “What’s in it for the customer?”, you are forced to take action on the things that actually matter within the company. Businesses that are customer focused get more. In contrast, a company that is employee-first minded will soon not have any business. So, if you can’t come up with a solid answer for that question, it may be time to move onto another task. Use data to leverage content strategies. A lot of new content is often created without a plan or end goal. At another seminar, our speaker showed us her content strategy and backed it up with data. In this way, she was able to sell her team and managers on her plan. By tracking the content she pushed out, she was able to see how her readers responded and report the results and new plans better to her managers.